It has been a few years since I started tracking and reviewing all the beers I’ve tried, and recently I realized that I was closing in on beer 1,000. To be honest I was never that impressed with the number of beers I was trying. Every now and then I would check and say, “Look at that I passed (number whatever) sometime last week, neat”. But when I saw I was approaching 1,000 I got pretty excited for some reason. That really was neat! I started to think about what I wanted to drink for this special occasion. 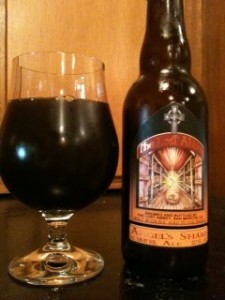 I had recently found a bottle of a 2010 vintage Brandy Barrel-Aged Angel’s Share from The Lost Abbey. That seemed like a good enough candidate. American Strong Ale. 350 ml bottle corked and caged. 2010 Vintage. Aged just over 1 year. They sure didn’t need the cage on that cork, just like the bourbon barrel-aged version this is totally flat. Molasses, dried fruit, oak with significant brandy. This is rather tart but not quite sour, not sure if that was intentional or a by-product of the bottling issues. Whereas the bourbon version didn’t totally suffer from being flat, this one does little for me without the carbonation. 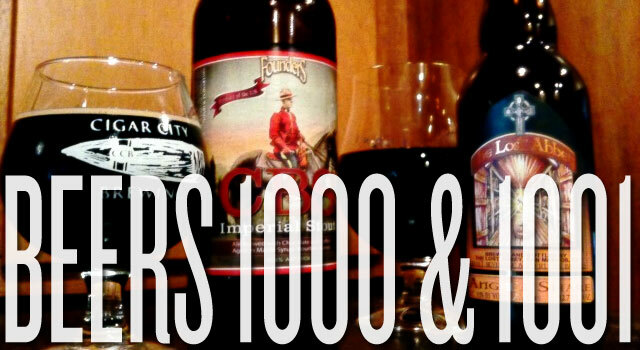 Somehow it didn’t seem to be enough to just have something special for beer 1,000, I wanted to celebrate this occasion with something extra special from my cellar. I settled on Founders CBS. This is pretty rare bottle, and to be honest I totally lucked into getting one. I have debated in my head quite a bit on when I should drink this… whatever, the time is NOW!!! I got the chance to have this on draft with my wife and favorite drinking partner Emily a few months ago (we shared this bottle as well), you will find both reviews below. Draft: This has about everything you would want in a stout. 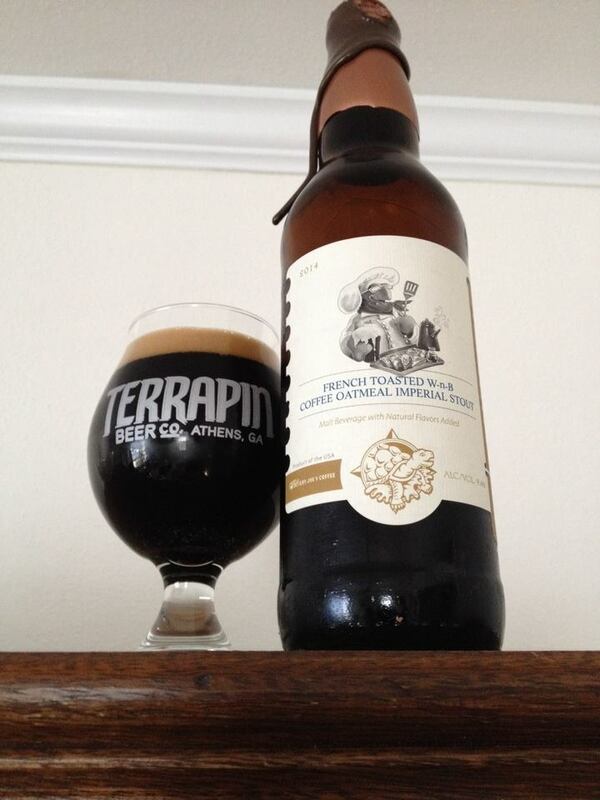 Roasted malts, notes of coffee, oak, vanilla, chocolate, maple syrup and some slight hops on the finish. The maple bourbon barrel aging adds a perfect sweetness to balance. Simply incredible on draft, one of the best beers EVER brewed . 22 oz Bottle: Aged about 6 months. Roasted malts, bourbon, vanilla, and a less defined sweetness. I’m missing some of the oak, coffee and the maple syrup in the bottled version. The hops have already faded a bit as well. 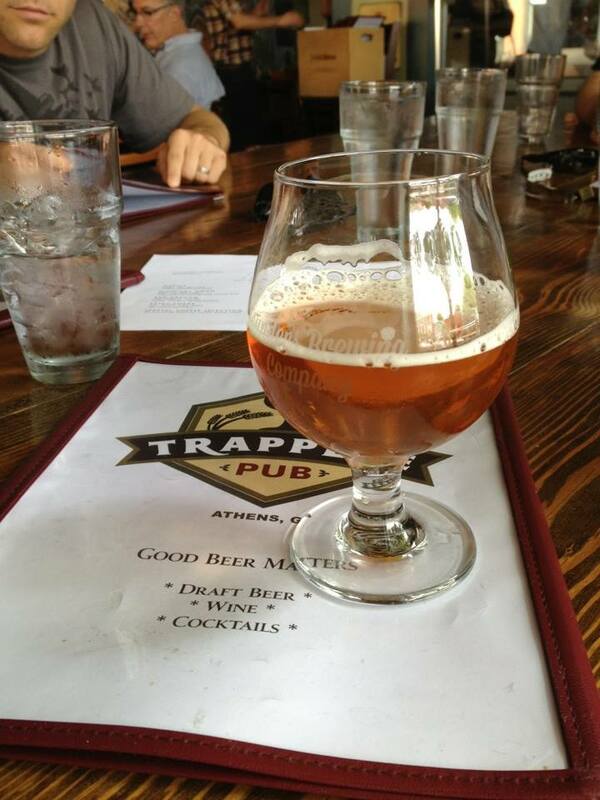 The maple sweetness is more absorbed into the beer and is no longer a defining element that balances the beer. 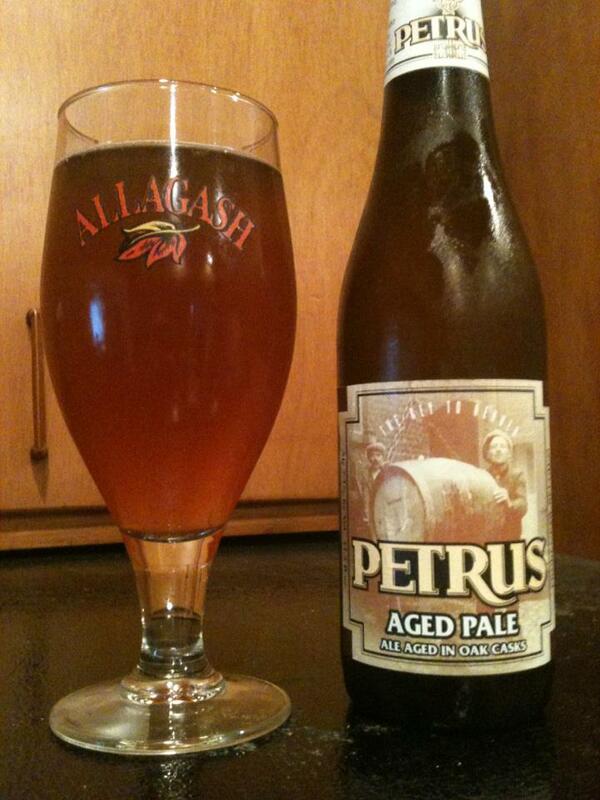 Overall this is still an amazing beer, but I’m glad I didn’t age any longer.